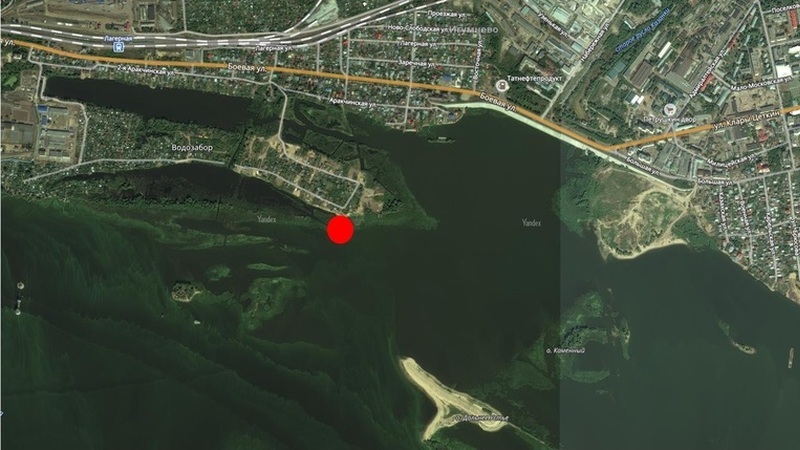 State inspectors for small vessels on the river Volga in Kirov District, Kazan on the area of the 'Vodozabor' garden association detected a gully with the area of 15 sq. meters. There was revealed the alleged release of waste water, a metal pipe with a diameter of 0.8 – 1 meters at the center of the gully. This section of the river poses a potential danger to the health and life of people. Today, in honor of the 101st anniversary of the fire protection of the USSR, the leadership of The Main Department of EMERCOM of Russia in the Republic of Tatarstan and the Council of veterans of EMERCOM of RT honors its oldest employees. Special attention was awarded to the veteran of the great Patriotic war and fire protection Mikhail Efremovich Dolgov. On a visit to the 92-year-old pensioner with congratulations and gifts were granted by representatives of the Department of supervision and preventive work of The Main Department of EMERCOM of Russia in the Republic of Tatarstan and the Department of supervision of the Moscow region of Kazan. Today inspectors of SFS paid attention to families with children who are in a difficult life situation. Together with representatives of the Department of social protection, their places of residence were visited. Chief of Interdistrict Department of Supervisory activities and preventive work on Saby and Tyulyachi municipal districts Ainur Galimullin reminded households about the necessity of observance of requirements of fire safety. Accidents for April 16: Fire departments of SFS of Russia EMERCOM on RT departed by alert 68 times. Firefighters of the Republic eliminated – 28 fires, of them in buildings (structures) of residential purpose and outbuildings – 7 fires. No fatalities. 1 person was injured.